Knoydart River Cottage is a luxury bed and breakfast offering 3 en-suite bedrooms each with their own private outdoor space. Located next to Inverie River, with spectacular views over the surrounding mountains and out to Loch Nevis. 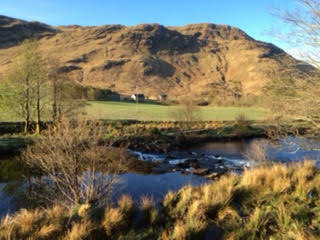 Come, enjoy and get spoiled on your getaway to the last wilderness in Scotland! The cottage sleeps 6 to 8 people, small groups and family gatherings are most welcome. 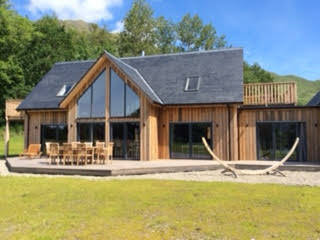 Knoydart River Cottage also offers catering services and venue space for any celebration. 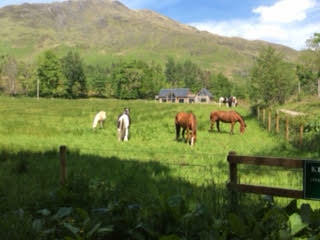 At Knoydart River Cottage we host evening meals every Thursday & Friday for our guests and up to 12 additional diners. 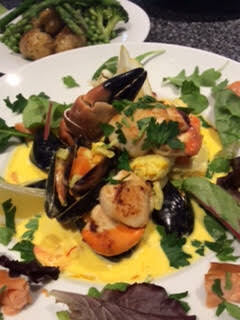 Our themed nights include Italian, Scottish Tapas and Seafood. Summer Holiday Offer: Kids stay free of charge when staying in a comfy family room with two paying adults! (min two night stay applies for this offer) Breakfast at Knoydart River Cottage Wake up to the smell of homemade bread and scones in the morning. Enjoy our breakfast bar with fresh orange juice, yoghurt, home baking and more. Each day we will offer you a breakfast special: ​ Meall Buidhe Breakfast Mountain ~ Stornoway Black Pudding, crispy bacon, venison sausages, portobello mushroom, potato scone, grilled cocktail tomatoes, finished off with a free range egg. ​ Homemade Blueberry Pancakes ~ Served with fresh blueberries and maple syrup, topped with crispy bacon if you wish. ​ Fresh Crab & Rocket Omelette ~ Served with grilled cocktail tomatoes and a lemon and mayonnaise dip. ​ These are just a sample of some of our breakfast specialties. We offer three spacious rooms named after the three munro's on the Knoydart peninsula. 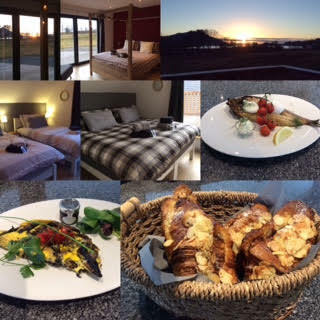 Each room features its own private outdoor space in the form of a balcony or decking area so that you can be close to Knoydart's nature from your own accommodation at any time. Featuring a four poster bed, this room can be used as a double room for two, a family room sleeping up to two adults and two children, or for a group of three singles. The room features its own private decking area, bringing the great outdoors straight in to your room! Furnished to a high standard all rooms are en-suite, there is free wifi throughout the house, and a luxury breakfast is included with your stay. Don't forget! We can accommodate small groups of up to eight people. Our standard bed & breakfast rate begins at £57.50 per person per night.